This is a glimpse of a vendor at The Farm Chicks Show. Her name is Rebecca and her blog is Wanderlux. 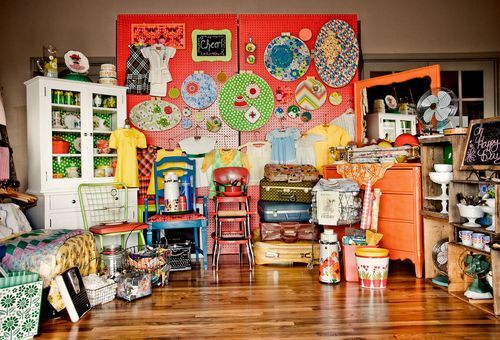 I would love to go this antique, farm, cute stuff show, but sadly its not in Oklahoma. It should be, we are going to have to work on this, who’s with me? But nothing like you do. I can't get Project Runway, but i'd watch it if I could. Looking forward to your comments. I'm going to check out farm chicks. What a great booth!!!! I am trying to put my own boot together, and thought I was doing pretty well, but this is making me feel a little inadequate. I'm up for a road trip!